Adam's approved bench scales and floor scales are simple to clean and feature removable stainless steel pans in a variety of sizes. Operating by AC adapter or rechargeable battery, Adam scales offer the portability needed in retail settings. Price computing scales provide an easy-to-read backlit display that is visible to both the user and customer. Adam Equipment's IP66-rated retail scales make cleanup simple, especially in food applications where frequent and thorough washing is required. When used to weigh cafeteria food sold by the ounce, produce sold by the pound at farm stands, or fish at open-air markets, scales must be cleansed and sanitized often. Adam's IP66-rated scales can withstand frequent cleaning needed in wholesale or retail establishments who sell bulk products, such as shampoo for showers in fitness facilities or fragrance oils used by small entrepreneurs to make scented candles. 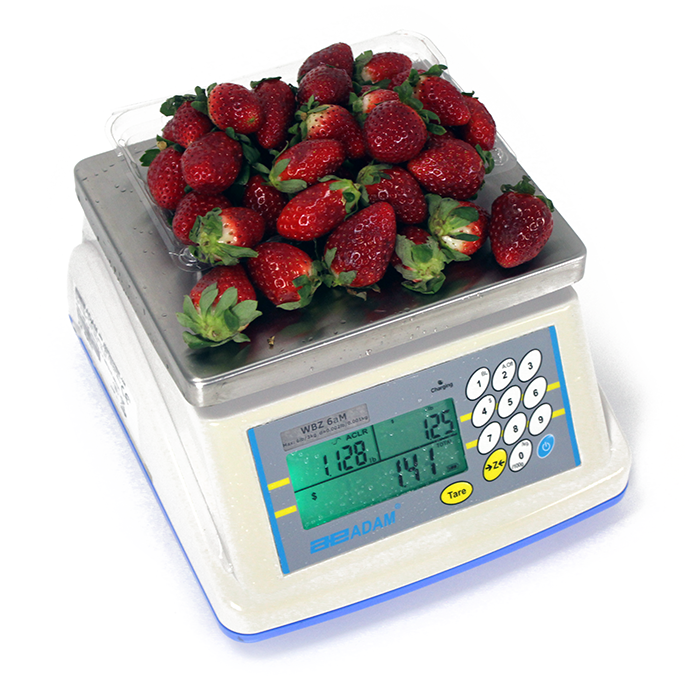 Approved scales are mandatory in numerous types of industries. Adam's scales help companies increase efficiency, prevent revenue loss and ensure customer customer satisfaction by delivering accurate measurements for any business needing approved scales. Retail professionals worldwide turn to Adam for weighing solutions that deliver speed, performance and value.